So, it’s been a while, and I don’t have a lot to report. 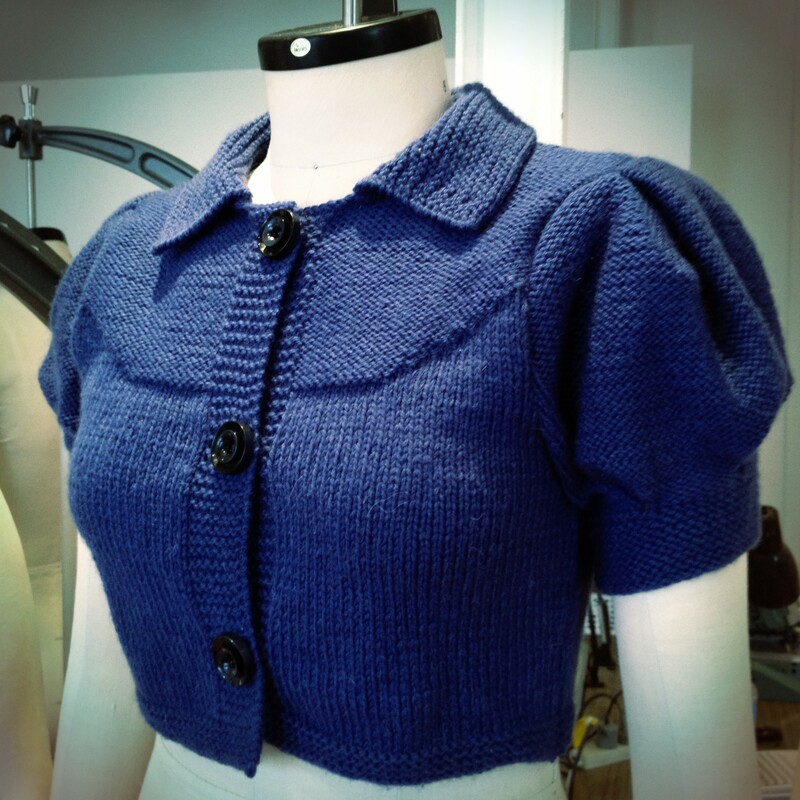 I spent most of this winter’s evenings knitting, but there aren’t many finished garments to show for it! One thing I did finish though is this cropped cardigan for Frances. I finished it in early June, the reason being I had a deadline. Mum went to France to study for six months, and at the end of it Frances was going over to spend two weeks holidaying with her, then bring her home. I wanted her to be able to take the cardigan with her. The pattern is from Vogue Knitting, as usual, and was pretty quick to make up. 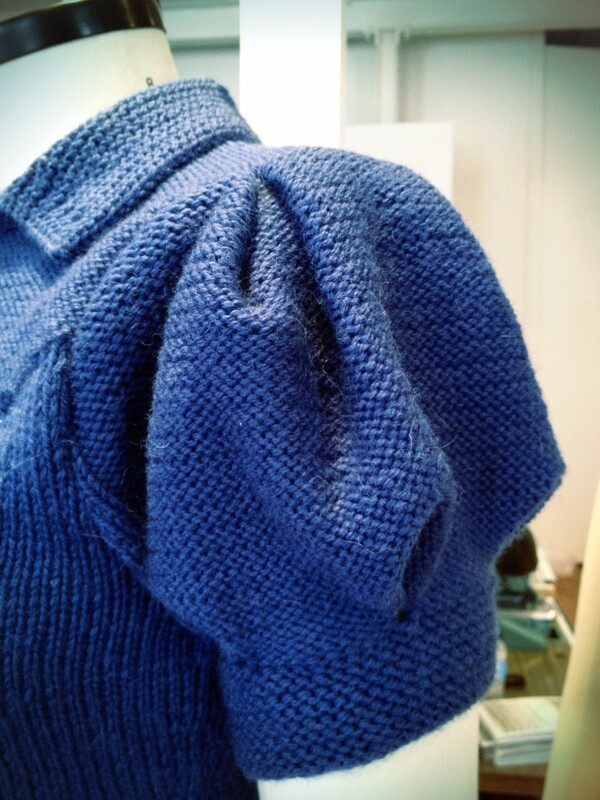 The body is stockinette, with reverse stockinette making the yoke. 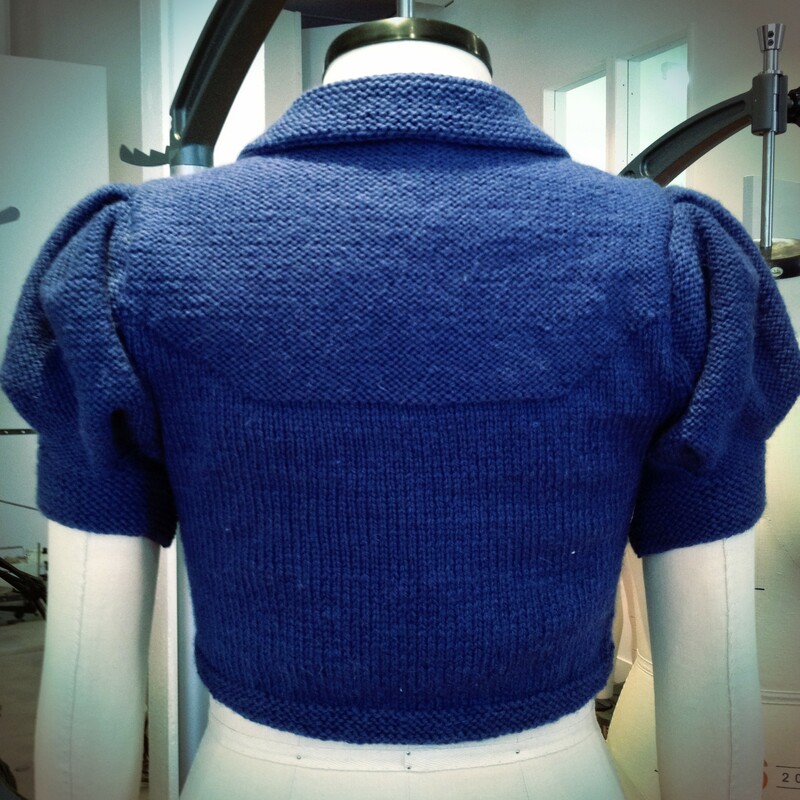 The sleeves, collar and edgeing are garter stitch. Each of the sleeves took a while because they’re so full, but that’s part of what makes it so charmingly suited to Frances. The wool is some Heirloom Yarns Shetland I bought years ago with this in mind, and should keep her pretty cosy. So she went off to France with her new cardi, and brought our mother home safe and sound. When we met them at the airport she was wearing it and looked as happy and comfortable as can be. 15 Sep	This entry was published on September 15, 2012 at 4:40 pm. It’s filed under Projects and tagged Blue, cardi, Cardigan, clothing, Collar, Craft, Cropped, Fashion, finished garments, Jacket, Knitting, Puffed Sleeves, Wool, Yoke. Bookmark the permalink. Follow any comments here with the RSS feed for this post.